We are proud to announce that we have released a brand new build for Simsol’s Property Estimating Software. Our Development and Quality Assurance Teams have been working hard to get this release ready for you. The new build release includes several new features, as well as a few enhancements. One of our newest improvements is a brand new Advanced Payment Request Form. This updated form hides the reserve amounts from the insurers, but not from your company when you upload the form. Through our enhanced Form Wizard, you can easily apply the reserve amounts, or simply enter them in your Coverages section when creating your claim to have the auto-apply. Speaking of forms, we’ve also added a new form-verification method to help ensure your Prelims, Finals, and Advanced Payment Request forms are accurately and completely filled out. This new feature will allow you to identify overlooked details as well as protects you from accidentally uploading incomplete forms to Claimswire or via XML. We’ve now made it simple to capture the insurers and your signature on the Advanced Payment form through Simsol. 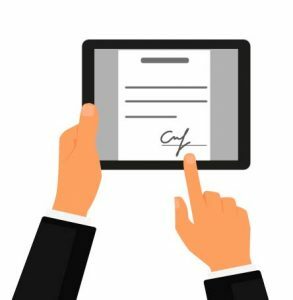 Our new digital signature feature allows you and the insurers to sign either by touch or mouse. All you have to do is click on the fields and sign using your mouse, or if you’re using a touchscreen, you can use a stylus or fingertip. The Invoice/Billing section has been enhanced. Due to customer feedback during the 2017 storm season, you now can easily add credits to deduct from the totals of your invoices. We hope you benefit from our new features and improvements. In our upcoming build releases, you can expect to see the new NFIP forms and an enhanced reporting module.